After a packed week of university deadlines and a family wedding, my skin was taken care of the least. I attacked it with continuous days of make-up, a ridiculous intake of caffeine and junk food. I was seeing the drastic effects the following days and was working on changing them. I decided to try out the Tinglexfliate Treatment by the much hyped GLAMGLOW. ..and all the other gibberish ones like Ethylhexylglycerin, Hexylene Glycol or even Methylchloroisothiazolinone and kfhdgbhjdgjdjkdfg (hahaha). If you are allergic to any of the above, I advise you not to use this. The last thing you want is an allergic reaction on your face. It contains no artificial fragrances or colours and is suitable for Vegans. 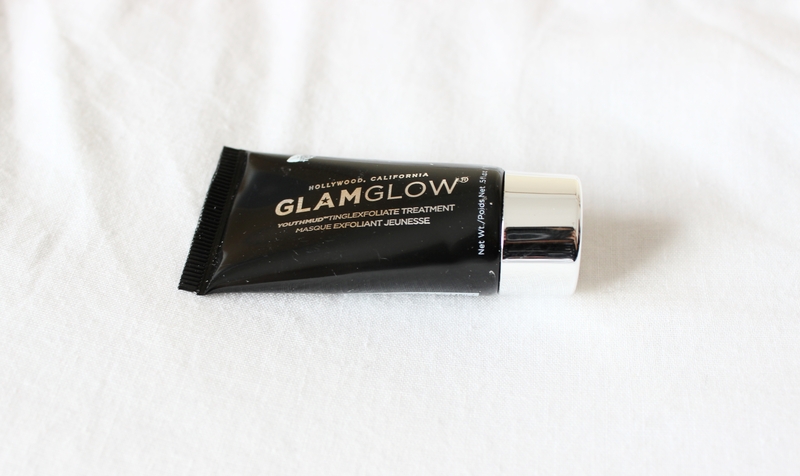 (: GLAMGLOW give a detailed explanation on the key ingredients which you can read up on here. 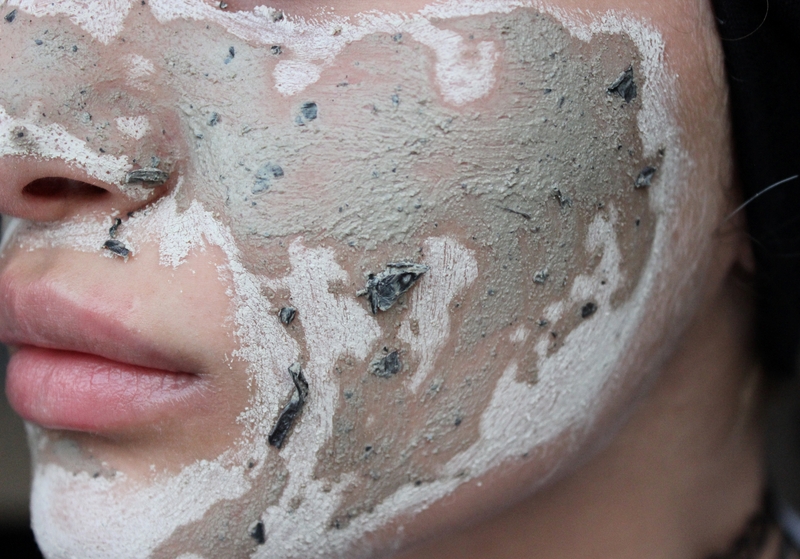 This YOUTHMUD is suitable for all skin types (men and women) and is said to deliver instant results. 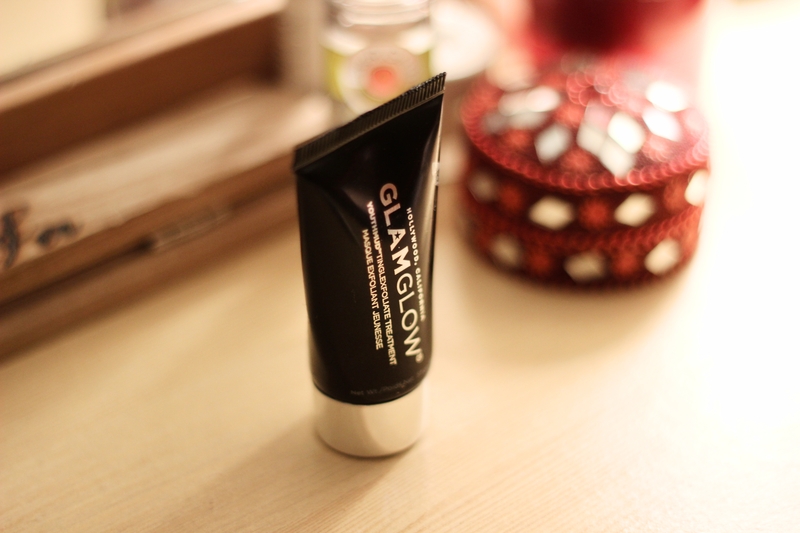 It is also known to leave the skin glowing for 72 hours after each application. Originally, it was used in Hollywood film studios and fashion events to give actors, actresses and models that glow to their appearance but now is available pretty much everywhere (I think). I’m going to take you through a pictorial of my latest application and let you see how the mask works. From my entire face, I’d say my problem areas are probably my cheeks and chin hence why I slapped more product on in these particular places. 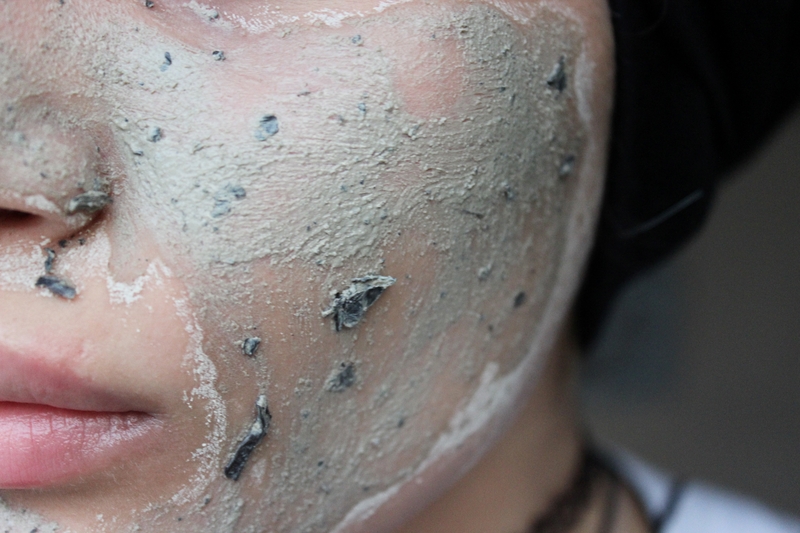 Before applying the mask, make sure the face is clean and dry. 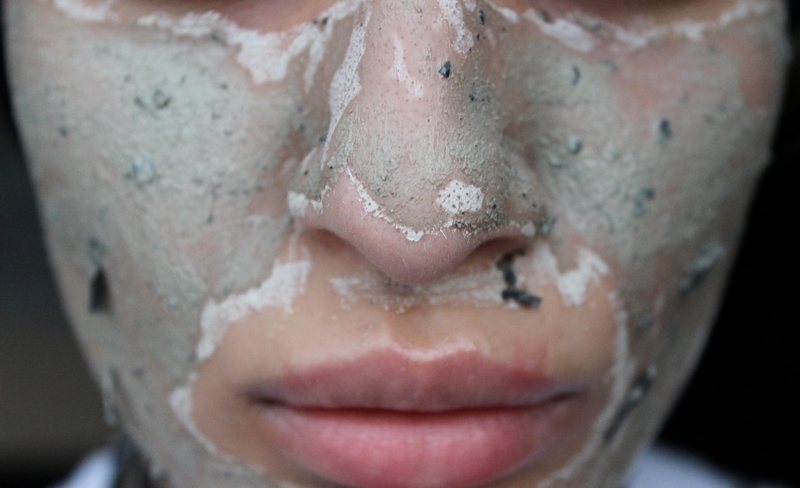 Upon application with your fingers, you may notice that applying the mud mask may prove difficult due to the chunky texture of it. It is important that you try and gather all of it on to your face and spread evenly as you’ll want to gain the benefits of each of the ingredients. It will settle well and does dry quickly. Whilst drying, you’ll feel a tightening sensation and the colour changing. This will be because of the mask hardening and drying. It is advised to leave the product on for 10 minutes. By this time, the majority of it, if not all, will have dried. 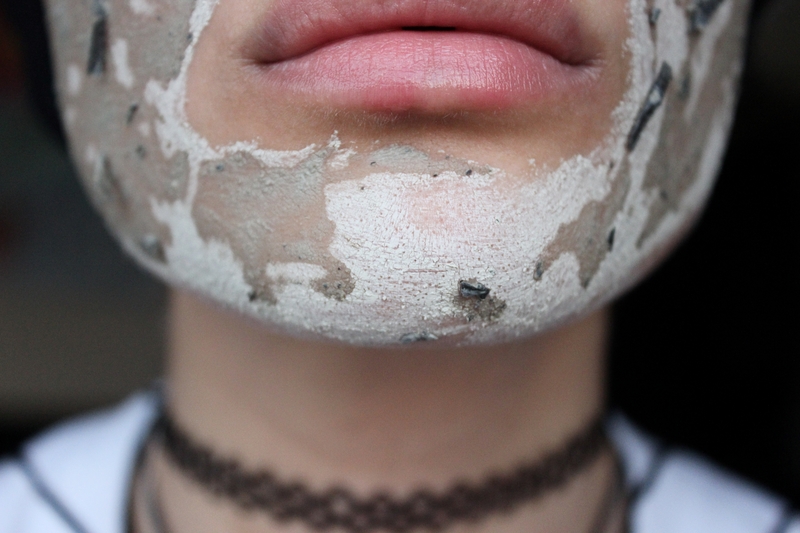 When rinsing it off your face, it is instructed to use circular motions because bearing in mind, it is an exfoliator and you’ll need to spread the exfoliating beads/granules over the skin. Once you’ve done this, gently pat the face dry. Previous article I still wonder why people ask for their lives to be coloured.